Kawasaki is a reputable brand in the motorcycle industry. It was a surprise when I was asked to review their rackets and looked forward to the delivery of the Kawasaki Mao 11 II. After a little research, I discovered Kawasaki Sports was founded in 1915 in Japan, so the brand has a sporting history. The Kawasaki Mao 11 II arrived with a substantial full length cover which is excellent quality. 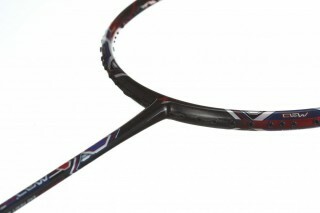 The racket itself is mainly black with red, silver and blue decals with a shiny finish. 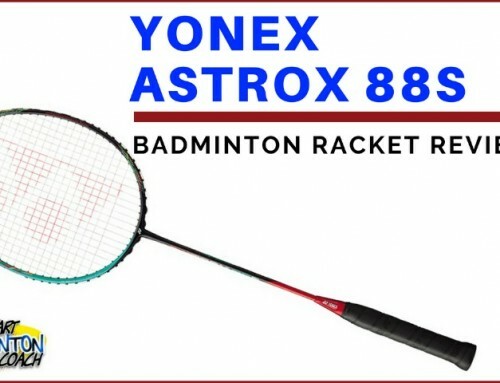 It’s a really good looking racket! This is a 3U version (85-89g) G5, small grip which I think is the ideal grip size to suit the broadest range of player requirements. 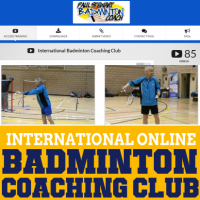 The decals tell us the racket can be restrung up to a maximum of 32lbs and will therefore appeal to players from club, county and international standard. 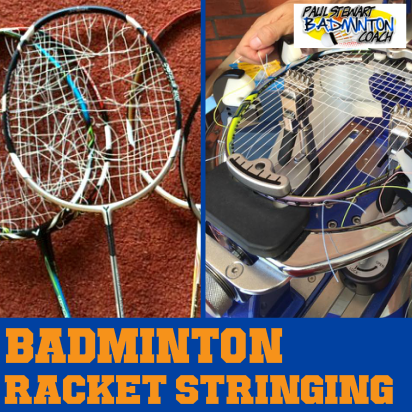 The racket was unstrung although a set of Kawasaki KSB 65Ti (0.68 gauge) was provided which I restrung to a tension of 25lbs. 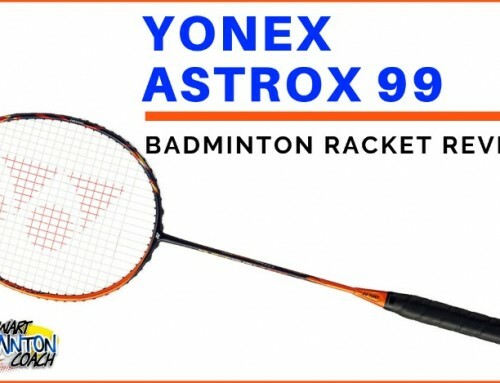 Specifications for Mao 11 II are that it is a stiff (4/5), head heavy (4/5) racket – I have undertaken so many reviews of rackets with similar specification, so I should be hitting well with this racket. Having a few dry swings before commencing hitting shuttles, this racket reminds me of the Meteor series from Victor. The feel is similar to the classic Meteor JJS, not too much head weight with a good stiff flex. 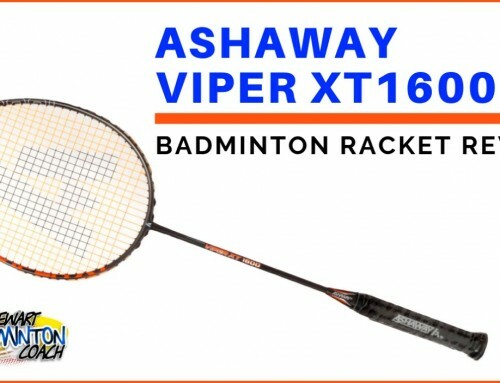 The string pattern is the same and also used on a number of other brands such as Ashaway, so I wouldn’t be surprised if it was manufactured in the same factory. This is a great racket to hit with. Headweight is not too much to become fatiguing. 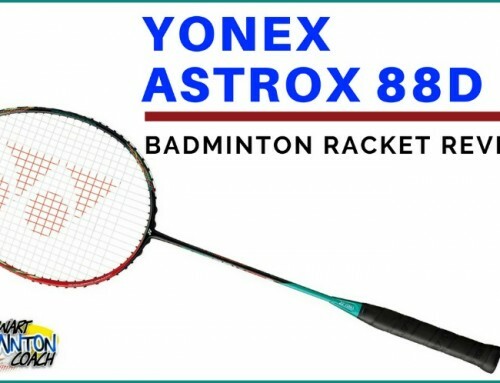 The sleek lines on the racket allow for low drag, fast flowing hitting and it’s easy to understand why this racket has to be one of the biggest secrets in badminton. Clears flowed beautifully and easily. I must mention the string felt really good too. It’s my favourite gauge although a touch oily on the surface for me to consider it a stock item. Drop shots were sharp. There’s a good feeling on contact that gives you confidence in the shot you select. Slice works well. The stringbed provides a good, solid hitting area although not as stiff as some rackets I’ve tested over the years. Onto the smash. Again, the frame moves well and there’s plenty of power to dial in as when you need it. The head isn’t too heavy to inhibit the swing speed, and the stiffness is sufficient to allow some flex without altering timing. Smashes were accurate and steep. Flat drives were quick and again, there is no sign of fatigue. The racket continues to move well and deliver crisp, drives with little backswing. 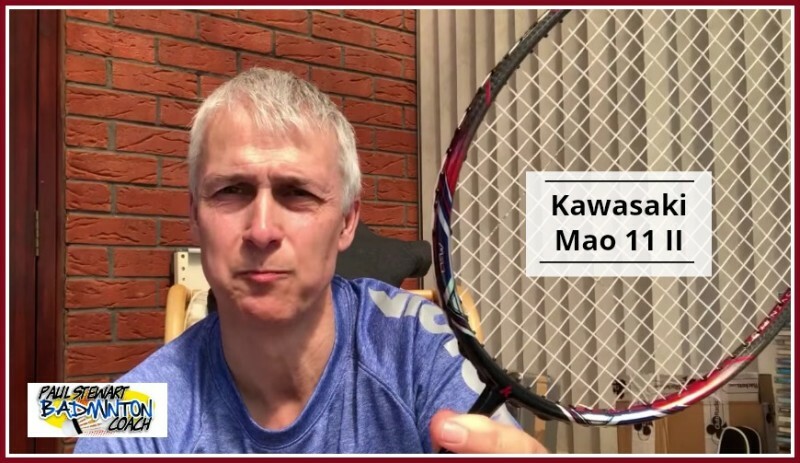 Defensively the Kawasaki Mao 11 II is fast for a heavy racket. It’s as fast as some of the other head heavy rackets I’ve tested which is usually as good as it gets. The racket responds well when you’re caught out and need to whip the shuttle fast through your hands. There’s enough weight in the head to provide that solid platform to control a smash which is so important. 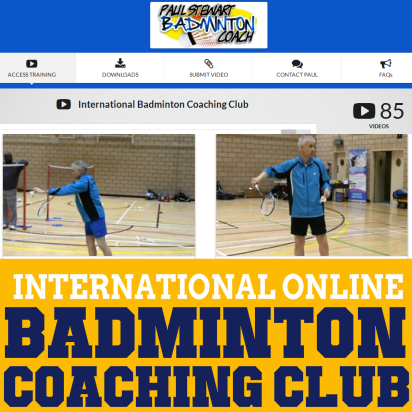 I like a racket that is manoeuvrable, responsive and controllable around the net. Kawasaki Mao 11II certainly meets all of these requirements. It’s ready to pounce on loose net shots, presents quickly when required to play a net shot under pressure and is in place when required to intercept drives from opponents. Kawasaki Mao 11 II displays many of the great characteristics players look for in a good racket. 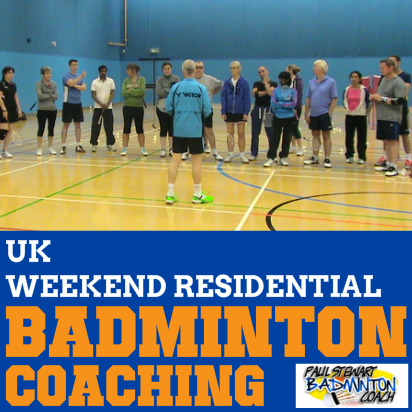 It is a quality racket which made me feel welcome and at home with it in my hand. I like the presentation from graphics to the case, all shouting quality. The balance and stiffness decals on the ferrule are a good touch. Victor used to have the same decals on their rackets and I like them as a quick guide to the specification of the racket. Currently there are only two retailers in the UK for Kawasaki. 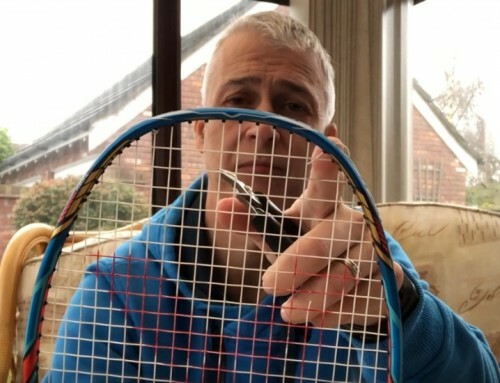 If the quality of the Kawasaki racket range are as good as this racket, then it won’t be long before other retailers offer the brand in their range. RRP is an expensive £190. Retailers will discount and you should expect to pay around £130 which I consider to be excellent value for money. There is a psychological barrier with players to purchasing a racket from a relatively unknown brand. This is elevated when pricing is similar to the better known brands, usually resulting in the player choosing what they will be comfortable with. In this case, with similar specs to many other leading brands, this racket should be taken seriously. I was surprised by the quality and feel and therefore award Kawasaki Mao 11 II 5 star, bronze rating.